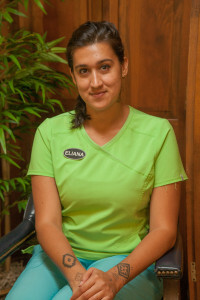 Eliana is the newest member of our staff. She has been working with Dr. Strubbe for a year. She is Dr. Strubbe’ s therapist who will be taking care of you when you come into our office. She is Colombian-American and speaks Spanish and English fluently. She enjoys her job and feels instant gratification when she helps others feel better. She is Registered Chiropractic Assistant RCA 16736. When she is not working, she enjoys traveling, food, art, family and making a difference. We are very proud to have Ellie on our team.